Today, Sanibel and Captive Islands are known for their pristine beaches, wildlife viewing, and “Old Florida” atmosphere, but there’s a unique and intriguing history behind it all. The history of Captiva Island and Sanibel Island is a flash in the grand scheme of the Earth’s geology. The two islands were once joined as one, formed about 6,000 years ago from sediments that were emptied by the Caloosahatchee River into the Gulf of Mexico. As recently as one thousand years ago, a powerful tropical storm is believed to have swept through the region and formed Blind Pass separating the islands. Humans first settled in the region over two millennia ago. Sanibel Island was first inhabited by the Calusa people, who spread their elaborate culture throughout southwestern Florida beginning about 2,500 years ago. They created a comprehensive trade system and a complex society that encompassed all of south Florida. The close proximity to the gulf waters and the thick mangrove system allowed them to trade at a high rate. Their dominance continued until European settlement about 400 years ago. The Spanish first established a port, Puerto de S. Nivel, on the island in the mid-1700s, and it is believed that this name eventually morphed into its current name, Sanibel. During that time, the area was not always a peaceful island escape that it is today. The British and Spanish notoriously fought over various settlements in South Florida. In 1763, Spain had ownership of the island. They were eventually “strongly encouraged” to trade the island to the British along with the rest of Florida in exchange for Cuba. Britain sought a more northern point of entry into the gulf region. Spain reclaimed Florida and Sanibel Island after the American Revolution, however the United States gradually annexed Florida starting in 1810 when West Florida was claimed as a part of the Louisiana Purchase. 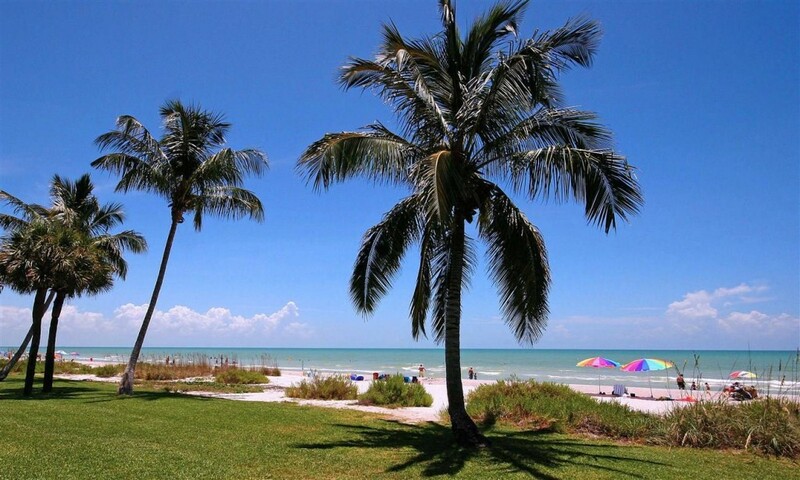 Sanibel Island was quiet until its first modern settlement in 1832. Farmers began establishing the region as a “garden of Florida,” cultivating pineapple, pumpkins, and sugar cane. Unfortunately, their success was short-lived. Due to the concern that locals would encourage unwelcome Native American populations in the area, the U.S. government quickly put an end to Sanibel’s small agricultural economy. After a long period of relative quiet, the island became a major point of interest for vacationing and eco-tourism after the Homestead Act of 1862 encouraged its repopulation. The early 1900s saw the island become a top destination for wealthy travelers from the Northeast. It became known as an idyllic family vacation spot with its quiet scenic beaches and warm weather throughout the year. In 1928, a ferry service started and connected the mainland to the island. Although the Great Depression saw a downturn in visits to the island, an upsurge of activity began in the 1940s with several new inns being opened. The Sanibel National Wildlife Refuge was created in 1945 under the Truman government, and a bridge – the only road onto the island – was built from the mainland to support local development. Today, with a strong focus on wildlife conservation, Sanibel and Captiva Islands have become an exemplar of Florida conservation and Sanibel vacations have become popular for nature lovers. On these islands, flora and fauna thrive and over development has been resisted. The area seems pulled right from the pages of a history book. To dig deep into the history of Sanibel and Captiva islands, stop by the Bailey-Matthews Shell Museum, which tells the story of the geology of the islands, past and present. The Bailey-Matthews is the only dedicated seashell museum in the country. Have a question about a shell you found on the beach last year? You can find the answer here. You’ll also learn about the creature from which shells originate, the mollusk. There are more types of mollusks than any other marine animal. Learn about the vital role the mollusk plays in the Florida ecosystem, and its involvement in producing the shells we see on our beaches. The Sanibel Historical Museum and Village is another vital stop for the anthropological history of Sanibel Island. Review artifacts, photographs, and more to paint a full picture of the island’s rich history. These are just a few of the historically inclined things to do on Sanibel. Contact us for more information on the Sanibel and Captiva islands, the region’s attractions, and nearby accommodations. Over the years, our vacation rentals have given travelers more than a place to rest their heads on Sanibel vacations. We have beautiful vacation properties full of amenities that will make you feel right at home. Check out our website for more information on available vacation rentals. There are many good reasons why these islands are ranked among the top outdoors destinations on Florida’s coast. Explore the many things to do on Sanibel and Captiva islands on your next Florida vacation.